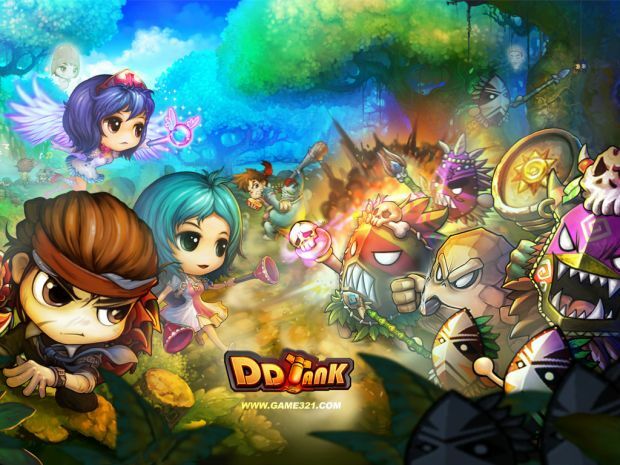 NGames has today revealed details of the feature filled 5.1 Update coming soon to popular free-to-play MMO, DDTank. The anticipated Update 5.1 is packed with new features for DDTank players to explore, including all-new weekly Guild Battles, tricky Treasure Hunts, and tons of new pet equipment. The all-new Guild Battles start every Saturday, and will feature the top 8 guilds from the weekly Wealth Ranking league. Guilds compete against each other in a knockout style tournament to earn Battle Points. Victorious guilds can then go on to compete in further battles in a bid to net bonus Battle Points until their streak ends. After all Guild Battles comes to a close, the guild with the most points will be rewarded with bags of valuable rewards. Runner-up guilds will also receive awards based on their participation. Upon reaching level 25+, players will now receive a rare treasure map that leads to a reward of Beast Gems and more. To complete the Treasure Map, players must navigate complex puzzles and events. Maps vary in difficulty; dependent on the amount of stars the map is rated. The more stars the map, the shinier the rewards in the treasure chest at the end. The all-new Totem Amulet introduced with Update 5.1 is a must have. Not only does it boost a base attribute, it also offsets coin usage by up to 60%. Players can also buy new Card Spirits, which give a chance to win more Active Points. The chance of receiving rewards from Silver and Gold cards has also been raised, and NGames is introducing a brand-new Platinum card that can net players mega rewards.